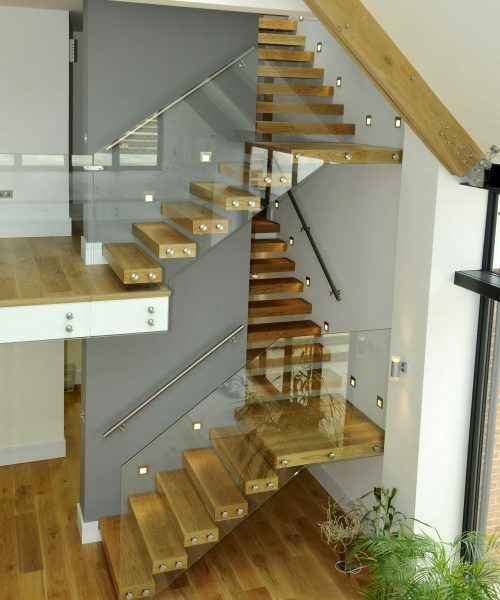 We manufacture all types and shapes of bespoke staircases these images show a wall mounted “floating” stair that we manufactured and installed in a new build house in Bexley near London. 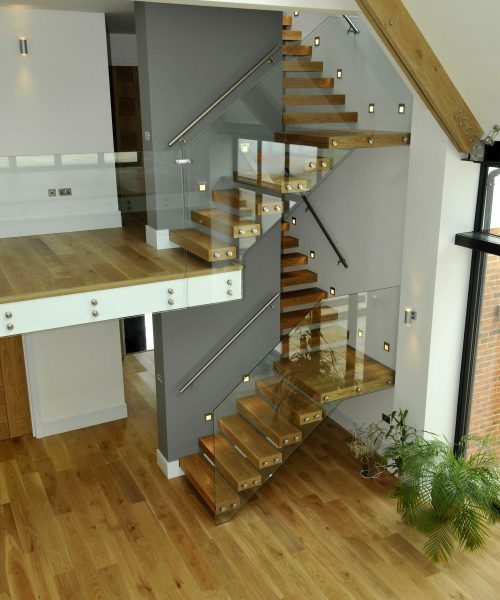 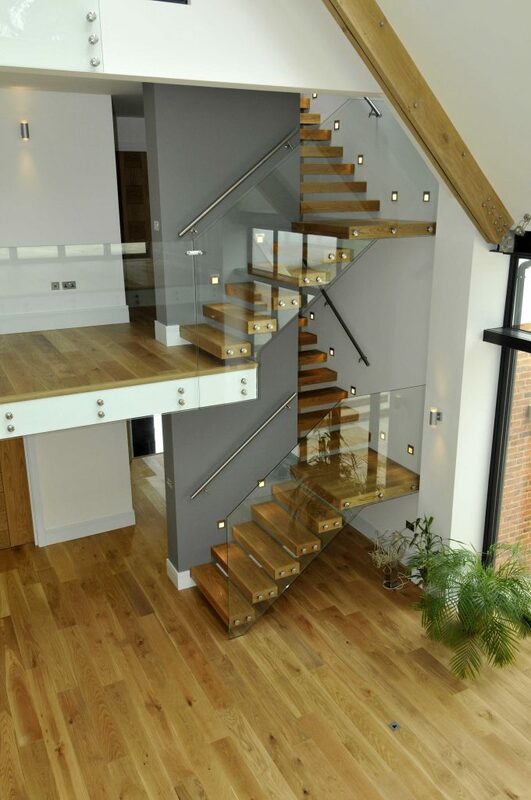 This has a hidden steel structure with oak ‘box” treads, toughened glass panels and stainless steel fixings. 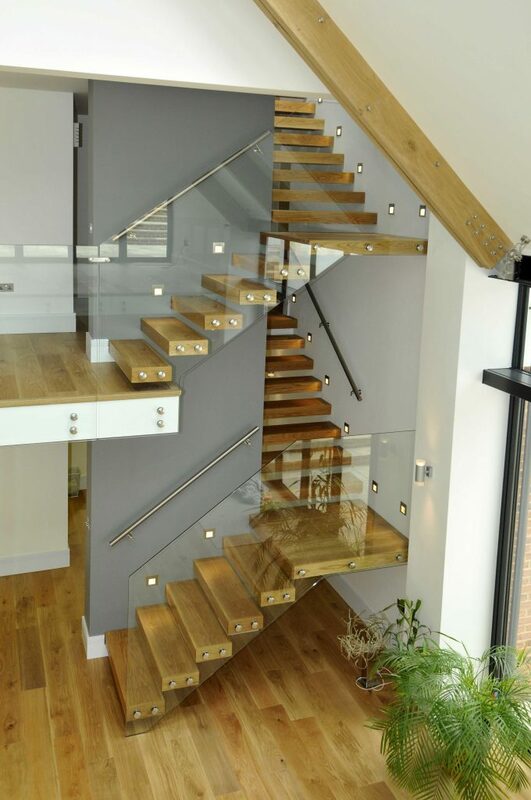 The steel structure was fitted on one visit and a second visit was then required near the project end to fit the treads and balustrade.